Insects can be a big problem when a Christmas tree is grown on a poor-quality site. If the Christmas tree is grown in a warmer climate, the chances of pest infestation are even bigger. Scouting is essential for integrated pest management. Since most pests and insects living in Christmas trees can lead to considerable damage, treatment is absolutely necessary. If left untreated, the problem can worsen and can even cause an outbreak. That is something you don’t want when Christmas is around the corner. 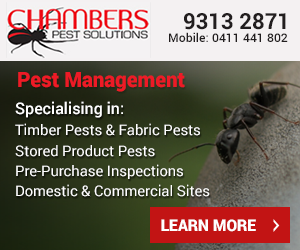 And that’s why you need professionals like Chambers Pest Solutions. Selecting the right groundcover is very important. This includes using fertilizer, shearing, harvesting and insect control. It is crucial to maintain proper ground cover around where the Christmas tree is being grown. There are many pesticides available for pest control around Perth. But not all of them are suitable for killing off pests without damaging the Christmas tree. Select pesticides that are targeted to eliminate the pests you see around Christmas trees. Make sure you choose the least toxic one, otherwise, there’s the risk of infection and illness. Have you ever wondered about the number of pests that can enter your property during and after Christmas? It is an unbelievably large number. Since it is the time of the year when your home is bustling with activity and a lot of footfall, it is highly conducive to pest activity. Think about it, as Christmas nears, decorations are pulled from basements, attics and other storage areas. Along with the decorations, come the pests who have been living happily in your basement, attic or other storage area. And once they have made their way into your home, who knows what will happen? The amount of paper used during Christmas is just insane. The more paper is used, the more paper goes into the bin and the more chances there are for rodents to infest and thrive, not to mention the clutter it can create. To make things worse, there is the irregular garbage disposal in Christmas time. Don’t worry. 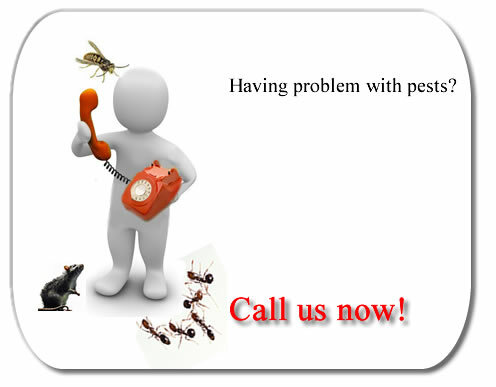 Why tolerate so much trouble when you can enjoy your holidays way better if you hire us for pest control around Perth. We will take the worry out of your schedule.